Mega Mewtwo has higher Special Attack and the ability Insomnia. Mega Lucario has higher Attack and the ability Adaptability. Requires Lucarionite. Mega Blaziken has higher Attack and the ability Speed Boost. Requires Blazikenite. Mega Mawile is Steel/Fairy type and the ability Huge Power. Mega Absol has higher Attack and Speed and the ability Magic Bounce. Yeah, they're pretty much just Super Saiyans. 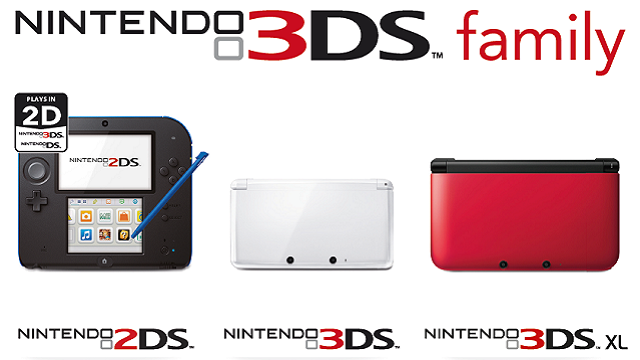 For those missing out on Pokemon X & Y due to not having a 3DS or 3DSXL because you have no money in your pockets for one yet, Nintendo has announced the release of the 2DS which will have all the functions of a 3DS (including being able to play the games) but without the 3D effect. This makes it considerably cheaper to obtain. Release is set to coincide with the release of the Pokemon games. 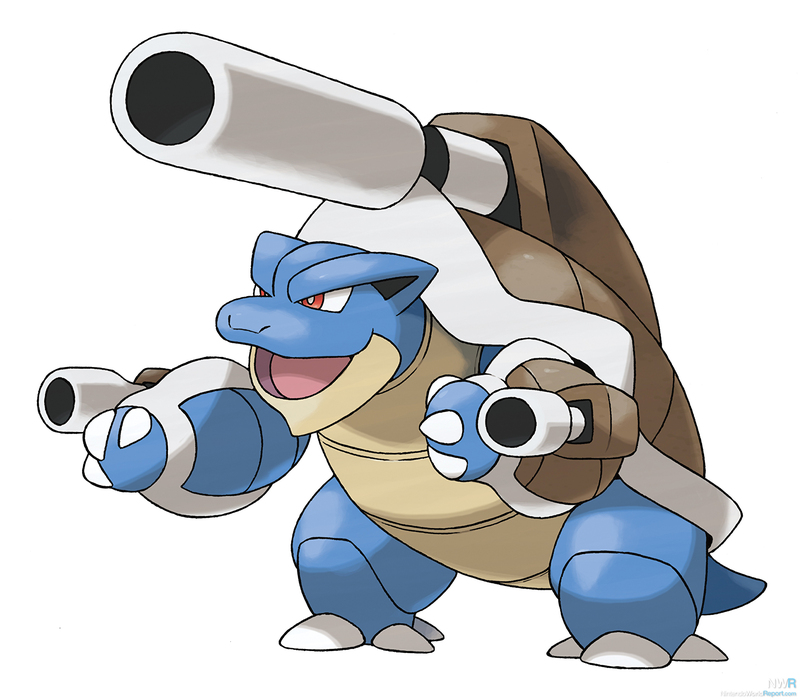 Pokemon are meant to be creatures, not swords. I'm gonna update the poll. Actually, the sword is a spirit.if someone tries to wield the sword their soul will be possesed by the sword. xD I'm with Dj! Now they got me, as if blaziken wasn't deadly enough! I don't even care about the extra weaknesses! I want it, I want it, I want it, I want! But he's uber, so I can't use him in my future fighting gym.. Aw wells. I can always go with lucario. No excuses to not get this game anymore. And where do you guys come up with such awesome sigs? All I have is a pitiful quote ._. Then I'll own it's face with my MegaAmpharos. 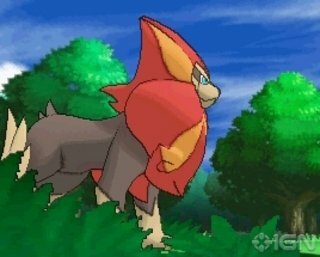 The focus is purely on X & Y so be sure to catch it if u are able to or u can watch it on serebii.net once it has been broadcast. The Pokemon Direct was on about 3 hours ago. Satoru Iwata (the CEO of Nintendo) and Junichi Masuda (I forget what he does exactly, but he's with Game Freak) sat and talked about Pokemon X and Y. They introduced the Pokemon Bank, an online PC that can store 3000 Pokemon AND transfer Pokemon from Black/White. However, this costs money. They also said that you would have the choice to start with the original starters. The video explains more, but if you missed the video, it's gone forever. I'm kidding, Nintendo put it on YouTube. 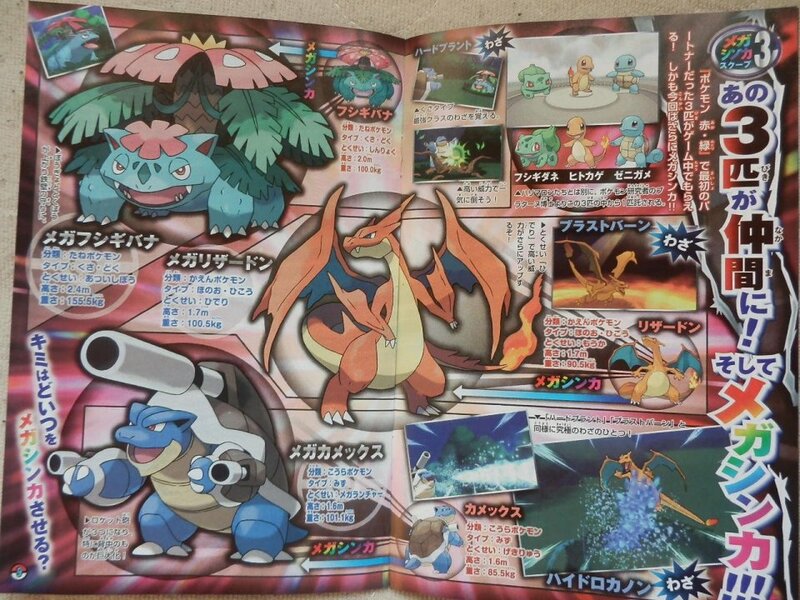 Well, these guys (mainly Mega Charizard) look FREAKING AWESOME!!! I'm glad the first 3 starters are in this game. I'm going with Charmander for Gen I and Chespin for Gen VI. 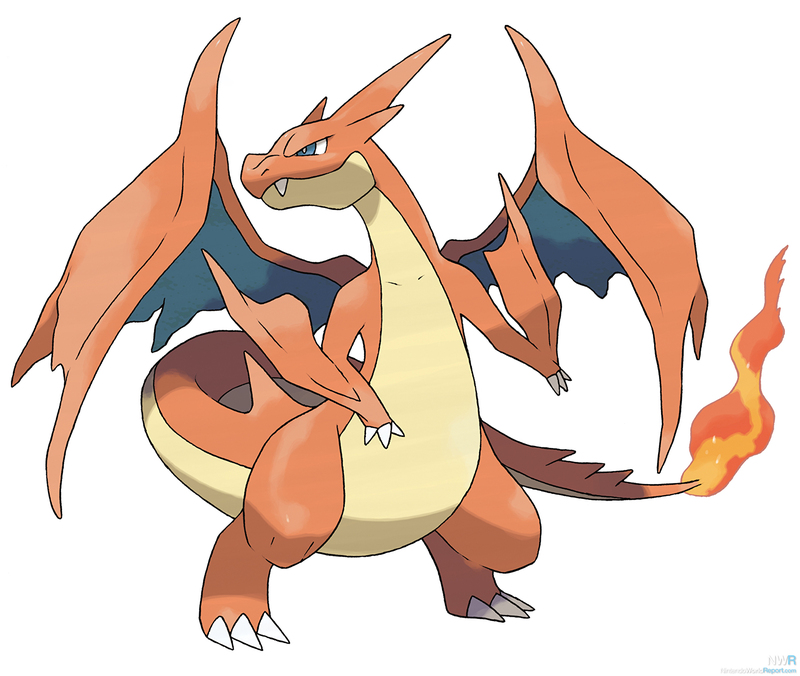 Im starting with Fennekin and that'll be my fire type but im still gonna get charmander just because i think mega charizard looks the coolest. I just won't use him on my team. 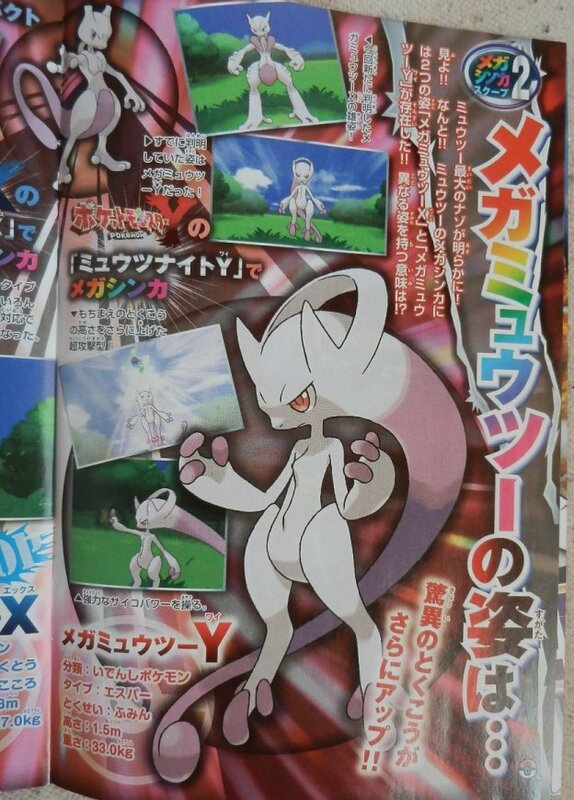 The new Mega Evolution of Mewtwo is exclusive to X and is called Mega Mewtwo X. It is Psychic/Fighting-type and has the ability Steadfast. 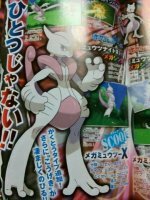 The previous Mega Mewtwo is Mega Mewtwo Y and is exclusive to Pokémon Y. They use the items Mewtwonite X & Mewtwonite Y to Mega Evolve. Hariboogu, Chespin's evolution. 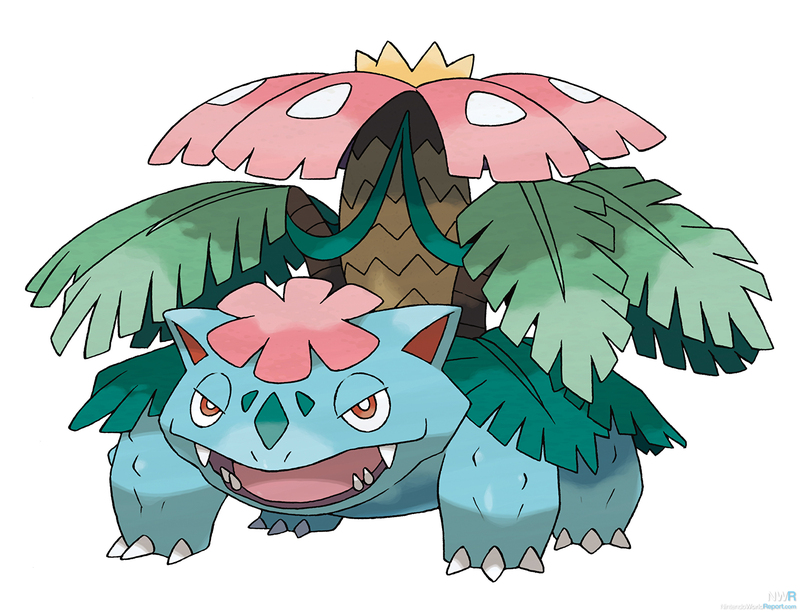 It is pure Grass-type and knows the move Mud Shot. 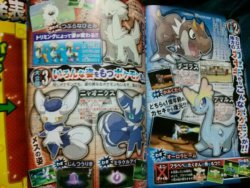 There is a white dog called Torimian which is the Pokémon from the Pokémon Direct and is a Normal-type It has a new ability called Fure Coat which reduces Physical Damage. You can also customise its appearance. Fairy-type chart. According to this, Fairy is Super Effective on Fighting, Dark and Dragon and not effective on Fire, Poison or Steel. It also states that it is weak to Poison and Steel while resists Fighting, Dark and Bug. It is immune to Dragon. Change your hair and clothes at a Boutique and Salon, reflected in the graphics, with a famous actress called Karune. Team Flare has five scientists, Kuseroshiki, Momiji, Bara, Akebi, Corea. The actress Karena is a trainer you will also have the ability of battling. Team Flare are looking to create a beautiful world. According to a leaker, Steel has lost its resistance to Dark and Ghost. Like the rest of this information this is unconfirmed until we get a picture. 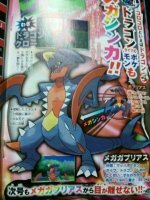 *sigh* As if Garchomp couldn't get any more uber. I bet you this is what they say: "Hmm well we can't really think of many ideas for non-uber pokemon... Oh well lets make the uber pokemon more uber!" Regular mewtwo is uber why wouldn't the mega evolution be uber. 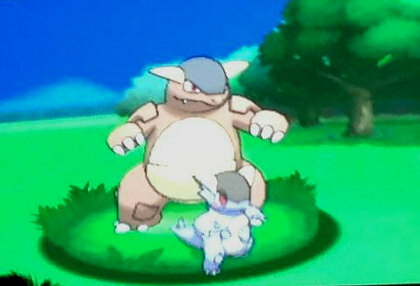 Mega Kangashkan has a new ability, Parental Bond, that allows it to attack twice in one turn. It appears the baby leaves its mother's pouch and attacks in the same turn as its mother! And thanks SS, hopefully we get confirmation on things soon. 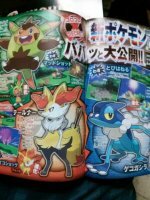 Starter evolutions abilities are Overgrow, Blaze and Torrent respectively. Teerunaa is the Fox Pokémon. It is 1.0m, 14.5kg and has the ability Blaze. Gekogashira is the Bubble Frog Pokémon. It is 0.6m, 10.9kg and has the ability Torrent. …How come Dialga always tells the news first? 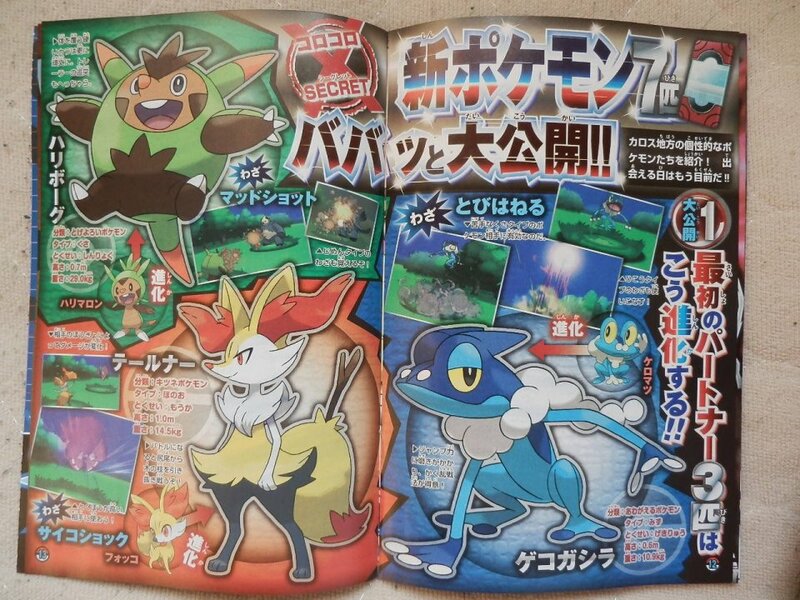 I TOLD YOU FENNEKIN IS EVENTUALLY GONNA BECOME FIRE/PSYCHIC!!!! PSYCHO CUT MOTHA F**KASSSSS!!!!!!!! In pokemon X you get the gem to turn your Mewtwo into Mega Mewtwo X. In pokemon Y, you get the gem to turn your Mewtwo into Mega Mewtwo Y.